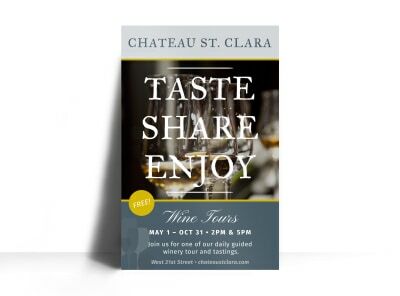 Customize our Organic Wine Tasting Poster Template and more! 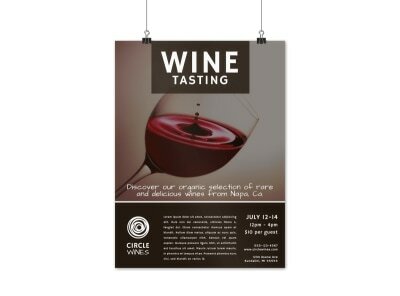 Whether they prefer a red or glass of white, get wine buffs in on your upcoming wine tasting with this eye-grabbing poster that you design yourself. 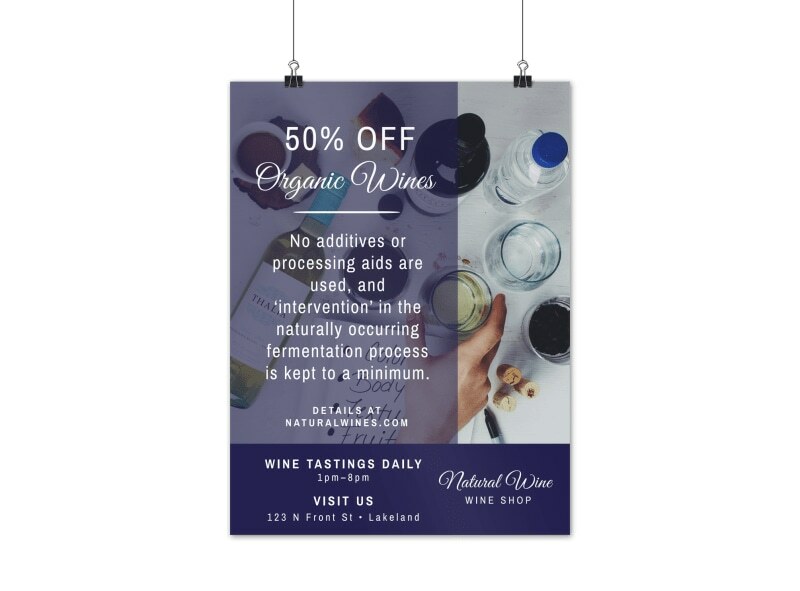 Get wine-connoisseurs’ mouths watering with the promise of more wine by customizing this poster template with your own images and text using our online editor. 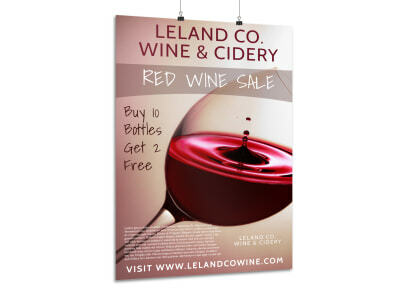 Get busy with your beautiful poster design today.